On Friday, November 1st, 2013, Project: Community Computers launched a campaign on Indiegogo.com in order to raise funds to help our organization become a full-time organization geared towards distributing used technology to non-profits in Milwaukee and around the world. We've already had a huge impact on a lot of different people here in Milwaukee and across the globe. We want to continue changing lives and reducing e-waste, but in order for Project:CC to continue as an organization, we need funding and that's why we're reaching out to our local and international community. Our goal is to raise $100,000 to cover all of our administrative and operational costs. We have a handful of awesome perks to express our gratitude for your contribution to our mission. Even if you can’t contribute financially, simply sharing our project with your friends can have an outstanding impact on our success. 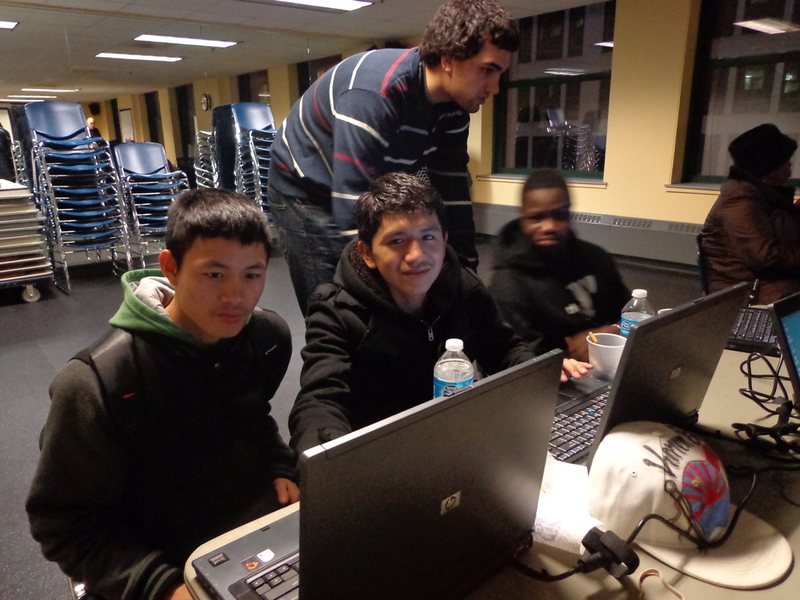 For the past four years, Project: Community Computers has been a small student organization at the Milwaukee School of Engineering. We have all given our time to this organization as a hobby, a side project to everything else that has been going on in our lives. Even though we've accomplished a lot we have decided to take things to the next level. Kick things up a notch, if you will. Today, we are excited to announce our intentions to turn Project: Community Computers in to a full-fledged 501(c)(3) nonprofit. For the interim, we have formed Project: Community Computers, LLC, a not-for-profit corporation that will allow us to continue to grow as we work towards our tax-exempt status. We have also overhauled our entire website to give the world a better view of our work. You may also have noticed the new logo, courtesy of our friend Dylan Moriarty. In addition to all of the organizational changes happening with Project:CC, we have continued our mission with a new project set up in China (details coming soon! ), pending expansions to the Summerfield UMC project, another project here in Milwaukee, and travel plans to Sierra Leone this fall! Thank you to everybody for your continued support so far over these past four years. The next four will be even better! This July marked Project:CC’s second service trip to Kenya with Project Kenya and MSOE’s Servant Leadership. Our goal again was to bring a computer lab to a school in Kenya that would otherwise not be able to afford one. This year’s school was the Nyamome Primary School in Migori, Kenya. A group of about 17 students and teachers traveled to Kenya for a two week stay. The group worked on many projects throughout the week we were in Migori. Several teachers on the trip spent a lot of time in the classroom educating and working with the students. Other volunteers worked on projects such as building new desks for the classrooms and a swing set for the school yard, helping to finish the new, donated kindergarten building, painting, and of course the computer lab. To set up the computer lab, we cleaned, painted the walls, built bench style desks, ran wire and installed outlets, set up the computers, and finally instructed teachers in using the computers. 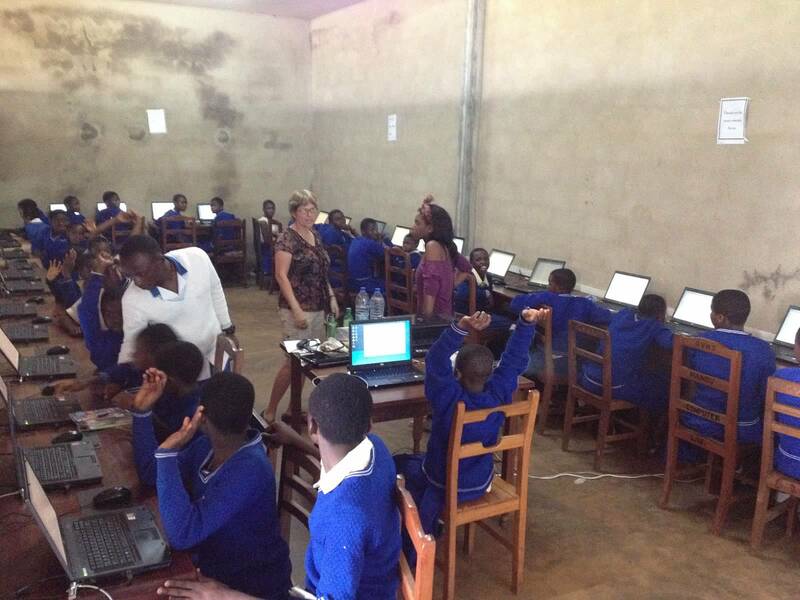 Just like last year’s computer lab, the majority of the effort came before we even arrived in Kenya. 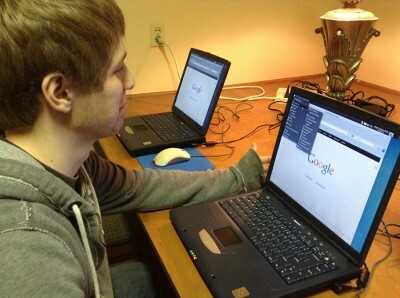 First, Project:CC acquired all of the computers for this trip from the Wisconsin Rapids School District. They were older, but perfectly functional computers that would otherwise be recycled. Next, we cleaned and tested them to make sure they were working as expected. Then, we went through the process of wiping the hard drives and installing new software. This brought the computers back to a like-new condition. Instead of using Windows on these computers, we used an Operating System called Ubuntu, just as we do on all Project:CC computers. (www.ubuntu.com) Ubuntu is free, open source, community developed software. Unlike Windows, it runs well on older computers and does not require continuous maintenance to stay running smoothly. Because we were using Ubuntu, we were able to load the computers full of fun, educational software such as math and spelling games, 3D globes, calculators, office tools, and plenty of other good stuff for free. Once we managed to get all of the software on all of the systems, everything tested and error free, then we just needed to get them from Wisconsin to Kenya. The Project Kenya group packed 15 computers, keyboards, mice, mouse pads, power cords, and LCD monitors in duffel bags and checked them as their personal luggage. All of this came from Project:CC except the LCD monitors which were either donated or purchased directly by Project Kenya. In the end, everything arrived safely in Kenya, and the computer lab was a success. This computer lab will have a huge impact. 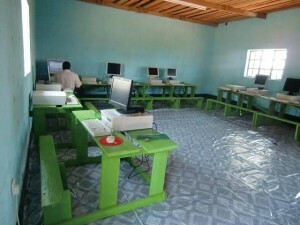 As it is the first in the Migori School District, many people in the community have never used a computer. However, computer experience is needed if going on to a university or for many jobs. With all of the software being used, we are bringing more than computers to the community, we are bringing calculators, maps, and other tools they did not previously have access to. We are already working on computers for the next trip back to Migori which will be in early March. We hope to continue to provide educational tools to great communities like these in Kenya. Thanks must go out to Project Kenya, MSOE's Servant Leadership, and everyone else who help make this happen. 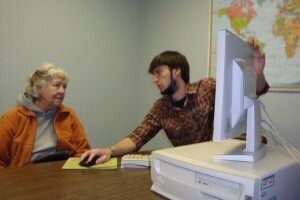 Yesterday a two computer lab was setup at The Shelter Fellowship and Outreach Center in Janesville. The Shelter has been acting as the men's homeless day center, and is in the process of transforming into a nighttime shelter as well. The Shelter has provided for over 30 men at a time. These computers along with printer are being used to allow homeless men to type resumes to help them find Jobs.